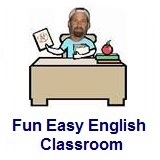 ﻿ Fun Easy English - new classroom free online classes english language lessons speaking listening writing reading december 29. 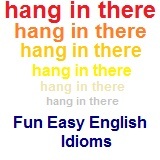 Today in the classroom you are going to learn some idioms beginning with the letter Z. Today learn idioms beginning with the letter Z.
zero balance no money was owed My credit card statement showed a zero balance. zero hour the scheduled time The computer was installed at zero hour. zeroed in on focused on Our boss quickly zeroed in on the problem. The idiom "zero balance" sounds a little like an acrobat team with no skills, lol. This idiom actually means no money was owed.